DO YOU NEED TO CLEAN, SANITISE, AND REFRESH YOUR TIMBER FLOORS? 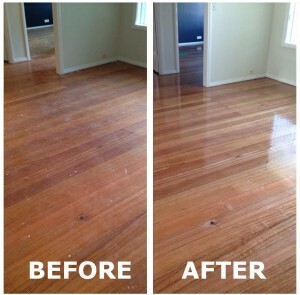 Star Cleaning Solutions Timber Floor Cleaning Perth gives new life to your wood floor! One Day service: Ready to walk within hours. Our Timber Refresh Clean Sanitise System is a combination of deep cleaning and a coating of a durable refresh product to bring dull, tired floors back to life, restoring their original shine and minimise scratches. You will be pleasantly surprised with the result. At Star Cleaning Solutions Timber Floor Cleaning Perth we use Duplex® Deep Clean system to remove the dirt, grime and residue from cleaning products that have built up on your wood floor over the years. To get the best finish the edges are cleaned by hand to remove dirt and built-up grime. No sanding, one-day service. Move your furniture back within hours. Superior deep clean. Removes all built up grime, dirt, residues of cleaning products. Refresh your floor. Application of coat to minimise scratches and restore your floors original sheen. Works on a wide range of floors. Our Timber Floor Cleaning Perth System can be used on hardwood floors, engineered wood floors (floating floors), floorboards, laminated floors and cork. We cover Perth and northern suburbs. STAR CLEANING SOLUTIONS.. The Expert In Timber Floor Cleaning Perth!